For a long time, scientists have struggled to understand how to be cool. And that’s only gotten more difficult, as coolness seems to be increasingly just a word used to describe what’s popular, rather than having a specific meaning. In the past, I’ve subscribed to the ‘jazz musician’ theory of cool. You see, most of us worry about what to wear to look cool, or how to act. But jazz musicians seem to get away with wearing or doing anything they want, because they’re intrinsically cool. As ridiculous as this sounds, there is a historical precedent. 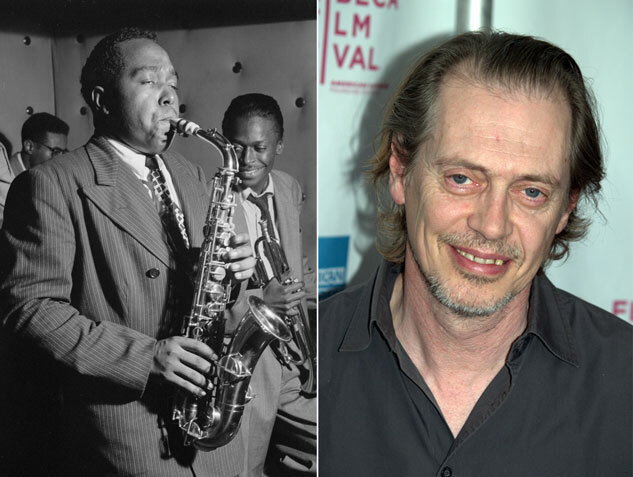 When the term ‘cool’ first emerged in the 20th century, it was associated with cool jazz. And the epitome of cool was the saxophonist Charlie Parker, aka ‘Bird’. But is this still true? Does cool still refer to your counterculture rebel, or does it simply mean something that people generally like – in which case it doesn’t really mean anything itself? And what, if anything, does science have to contribute? Well, we can answer that last question because a group of psychologists from the University of Rochester in New York state, decided to ask it (Dar-Nimrod I, Hansen IG, Proul T, Lehman DR, B. P. Chapman BP & Duberstein PR 2012, “Coolness: an empirical investigation”, Journal of Individual Differences, vol. 33, no. 3, pp. 175-185, doi:10.1027/1614-0001/a000088). To try and settle the question, they did a very cool, 3-part social science experiment on the nature of coolness. First, they recruited volunteers, using an ad at their university, to name adjectives associated with cool people. Unsurprisingly, they came up with traits that were socially desirable, like ‘popular’, ‘talented’, ‘hip’, ‘awesome’ and ‘hot’. But is that all there is to it? To dig further, in the second phase of their study they asked people to rate the coolness and social desirability of 90 characteristics, grouped into 14 categories, and then measured the correlation between the scores for those categories. Again, they found a general correlation between coolness and desirability. But there were some traits, like thrill-seeking, which were considered much more cool than desirable. Conversely, there were others like ‘prosocial values’ – meaning virtues like honesty and caring – that were clearly more socially desirable than cool. Because this was so complicated, they analysed the individual results and found that they tended to two groupings. One group consisted of traits like warmth, friendliness and attractiveness, and was very closely associated with social desirability. They called this cachet coolness. But then there was another grouping of terms like toughness, irony and rebelliousness, which they called contrarian coolness. The contrarians are pretty much your classic definition of cool, the Charlie Parkers. Whereas cachet cool is more the newer version, of straight-up popularity. But the two types aren’t totally exclusive, and some people felt both were cool. As further verification, for the third part of they study they tested these concepts by asking people to rate their friends against these traits, as well as their overall coolness. When applied to real people in this way, a couple of differences emerged – thrill-seeking and hedonism were now contrarian traits – but the broad cachet and contrarian coolness groupings held up. But hold up, daddy-o, why does this matter? Well, apart from just wanting to understand how people distinguish one another – this study was published in the Journal of Individual Differences after all – there are possibly some practical applications. Trying to be cool may lead to disadvantages, like succumbing to peer pressure, smoking and drug use, or, as the study said, ‘consumerism’. This makes sense, because supposedly ‘cool’ traits like hedonism and adventurousness cause people to want to buy lots of new stuff so they can have fun in new and different ways. And so surely any efforts to fight these things need to understand why they’re considered cool.